When I went to bed on the night of the 2018 midterm elections, I was heartbroken. Yes, the Democrats had taken back the House of Representatives, but the candidates I had been most invested in ― Stacey Abrams, Andrew Gillum and Beto O’Rourke ― had lost. I knew O’Rourke, despite his magnetism, probably wouldn’t get it done. My hopes were much higher for Abrams and Gillum. The polls conducted on their races showed these exceptional Black candidates tied or ahead leading into Election Day, a seeming miracle to me as a daughter of the South. I knew, though, that Abrams and Gillum were up against tremendous structural obstacles. Obstacles that political wit and charisma might not help them get over. Abrams’ contest against Brian Kemp, who as Georgia’s then-secretary of state would oversee his own election, was especially troublesome. 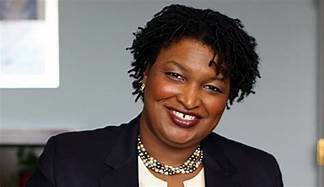 In August, Abrams called Kemp “a remarkable architect of voter suppression” because of his department’s history of removing Georgians from voter rolls, rejecting high numbers of registrations and closing or moving voting sites.